As I’m sitting on my screened porch enjoying the beautiful day and harvesting the seeds from spent zinnia blossoms, I’m thinking, boy, I’ll have a huge flower garden next year! The seeds I purchased this year provided us with a beautiful planting around the mail box as well as a round bed in the center of the front yard. 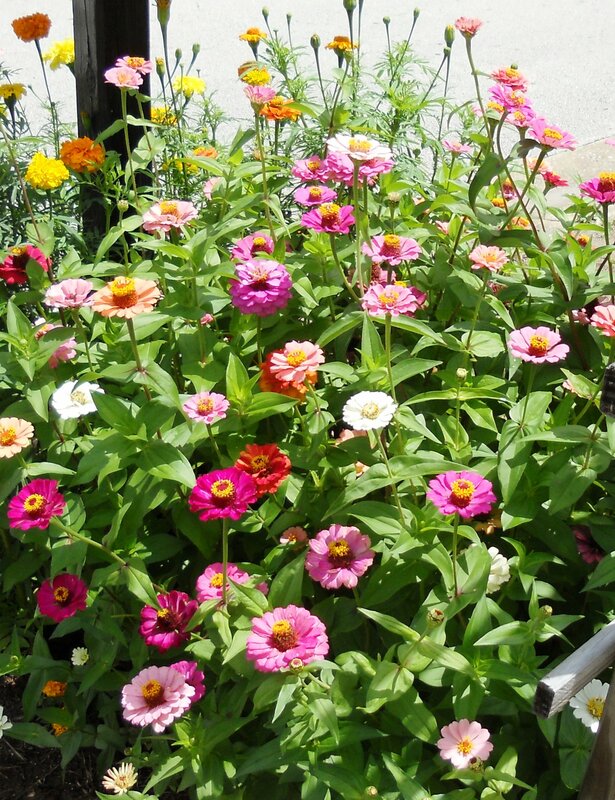 In these small gardens we have zinnias, coleus, and marigolds. Who knows what next year may hold? In case you’re like me, love flowers and don’t mind the little work involved, you, too, can have a plethora of seeds for next year’s planting, just for the taking. If you’ve never tried it, once your blossoms have dried, you can pull the seeds out and store them in brown paper bags, or envelopes. If you’re a visual person and like to see it being done, there are several instructional videos on U-Tube about harvesting seeds. I sure like things that are free. Don’t you? Thinking about God’s many wonderful gifts, they’re not all tangible like the flowers, nonetheless miraculous. Nonetheless free. And all we have to do to receive His free gift, eternal life with Him, is simply accept it. John 10:11 says, “Greater love has no one than this, that he lay down his life for his friends.” (NIV) And Jesus did just that for us. One of my favorite passages is one of the most familiar: Psalm 23. It is so full of what God is to us when we trust Him. This Scripture reminds me that God is my caretaker, my refuge and my strength, my source of peace and the guardian of my soul, my provider, my protector and deliverer, my assurance, my salvation. My all. Think about each phrase as you read it. This entry was posted on Thursday, May 17th, 2012 at 4:46 PM and is filed under INSPIRATIONAL. You can follow any responses to this entry through the RSS 2.0 feed. You can leave a response, or trackback from your own site. Great post, Pat – and beautiful pictures! What a talent you have been blessed with. Flowers are gorgeous!